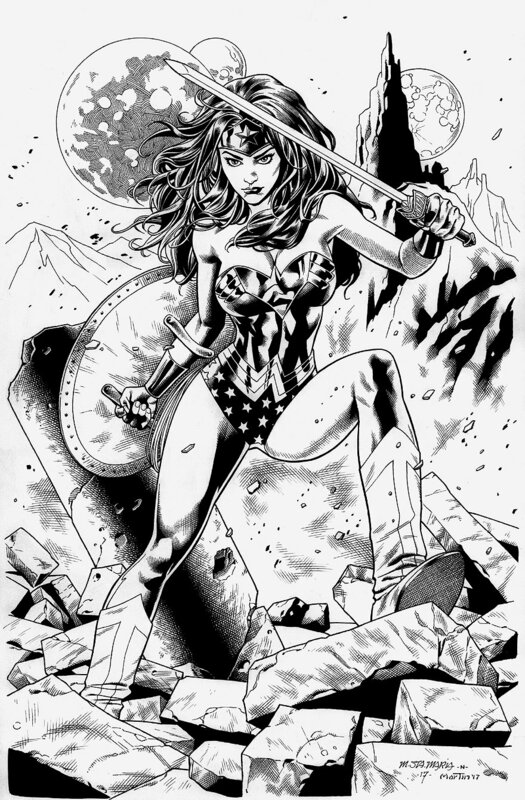 Original art depicting Wonder Woman by Michael Santa Maria and Gary Martin. Approximate image size 11" x 17" on a like sized art board...pencil and ink on art board. A finely detailed drawing of Princess Diana, penciled by Michael Santa Maria with supple inks embellished by Gary Martin! ALL art on our website (including this one) are able to be purchased with VERY fair time payments, and trades are always considered towards "ANY" art on our website! Just send us an email to mikeburkey@aol.com and we can try to work something out.